CC Insulation is an industry leader for Urethane Sales and Service. You can trust CC Insulation to install efficient and thorough urethane insulation to keep your home warmer in the winter and cooler in the summer. Make CC Insulation your first choice in fulfilling your Urehtane insulation requirements. For more than a century, home owners have relied on the energy saving properties of fiberglass insulation; keeping homes warmer in winter and cooler in summer. 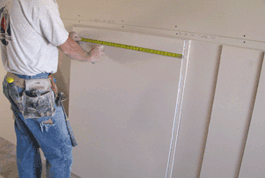 You can count on CC Insulation to deliver and expertly install the highest quality fiberglass insulation available. Since World War II, Drywall has been the builder’s choice for efficient and money saving finishing of interior walls and ceilings; replacing the older wood lath and plaster construction. 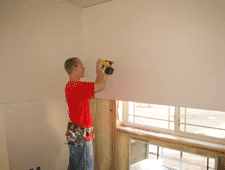 Make CC Insulation your first choice in fulfilling your drywall sales and service requirements. Give Jon a call today with any insulation questions you might have either in Lockwood, Billings, Yellowstone County whether it’s in or out of the State of Montana at 406-245-3636. Visit our Energy Saving Partners to learn more about how you can Bee Green!